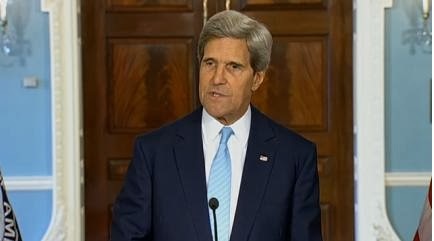 In his second statement on Syria in five days, U.S. Secretary of State John Kerry said Friday the United States government “now knows that at least 1,429 Syrians were killed” in the August 21 attack in the Damascus suburbs, “including at least 426 children… This is the indiscriminate, inconceivable horror of chemical weapons. This is what Assad did to his own people." “Its findings are as clear as they are compelling. I'm not asking you to take my word for it. Read for yourself, everyone, those listening, all of you, read for yourselves the evidence from thousands of sources, evidence that is already publicly available,” Kerry advised. President Obama has spent many days now consulting with Congress and talking with leaders around the world about the situation in Syria. And last night the president asked all of us on his national security team to consult with the leaders of Congress, as well, including the leadership of the congressional national security committees. And he asked us to consult about what we know regarding the horrific chemical weapons attack in the Damascus suburbs last week. I will tell you that as someone who spent nearly three decades in the United States Congress, I know that that consultation is the right way for a president to approach a decision of when and how and if to use military force. And it's important to ask the tough questions and get the tough answers before taking action, not just afterward. And I believe, as President Obama does, that it is also important to discuss this directly with the American people. That's our responsibility, to talk with the citizens who have entrusted all of us in the administration and Congress with responsibility for their security. That's why this morning's release of our government's unclassified estimate of what took place in Syria is so important. Its findings are as clear as they are compelling. I'm not asking you to take my word for it. Read for yourself, everyone, those listening, all of you, read for yourselves the evidence from thousands of sources, evidence that is already publicly available. And read for yourselves the verdict, reached by our intelligence community about the chemical weapons attack the Assad regime inflicted on the opposition and on opposition controlled or contested neighborhoods in the Damascus suburbs on the early morning of August 21st. Our intelligence community has carefully reviewed and re-reviewed information regarding this attack. And I will tell you it has done so more than mindful of the Iraq experience. We will not repeat that moment. Accordingly, we have taken unprecedented steps to declassify and make facts available to people who can judge for themselves. But still, in order to protect sources and methods, some of what we know will only be released to members of Congress, the representatives of the American people. That means that some things we do know, we can't talk about publicly. So what do we really know that we can talk about? Well, we know that the Assad regime has the largest chemical weapons programs in the entire Middle East. We know that the regime has used those weapons multiple times this year, and has used them on a smaller scale but still it has used them against its own people, including not very far from where last Wednesday’s attack happened. We know that the regime was specifically determined to rid the Damascus suburbs of the opposition, and it was frustrated that it hadn’t succeeded in doing so. We know that for three days before the attack, the Syrian regime’s chemical weapons personnel were on the ground in the area, making preparations. And we know that the Syrian regime elements were told to prepare for the attack by putting on gas masks and taking precautions associated with chemical weapons. We know that these were specific instructions. We know where the rockets were launched from, and at what time. We know where they landed, and when. We know rockets came only from regime-controlled areas and went only to opposition-controlled or contested neighborhoods. And we know, as does the world, that just 90 minutes later all hell broke loose in the social media. With our own eyes we have seen the thousands of reports from 11 separate sites in the Damascus suburbs. All of them show and report victims with breathing difficulties, people twitching with spasms, coughing, rapid heartbeats, foaming at the mouth, unconsciousness, and death. And we know it was ordinary Syrian citizens who reported all of these horrors. And just as important, we know what the doctors and the nurses who treated them didn’t report -- not a scratch, not a shrapnel wound, not a cut, not a gunshot sound. We saw rows of dead lined up in burial shrouds, the white linen unstained by a single drop of blood. Instead of being tucked safely in their beds at home, we saw rows of children lying side by side, sprawled on a hospital floor, all of them dead from Assad’s gas and surrounded by parents and grandparents who had suffered the same fate. The United States government now knows that at least 1,429 Syrians were killed in this attack, including at least 426 children. Even the first-responders, the doctors, nurses and medics who tried to save them, they became victims themselves. We saw them gasping for air, terrified that their own lives were in danger. This is the indiscriminate, inconceivable horror of chemical weapons. This is what Assad did to his own people. We also know many disturbing details about the aftermath. We know that a senior regime official who knew about the attack confirmed that chemical weapons were used by the regime, reviewed the impact, and actually was afraid that they would be discovered. Instead, for four days, they shelled the neighborhood in order to destroy evidence, bombarding block after black at a rate four times higher than they had over the previous 10 days. And, when the U.N. inspectors finally gained access, that access -- as we now know -- was restricted and controlled. In all of these things that I have listed, in all of these things that we know -- all of them -- the American intelligence community has high confidence, high confidence. This is common sense. This is evidence. These are facts. So the primary question is really no longer, what do we know. The question is, what are we -- we collectively -- what are we in the world gonna do about it. As previous storms in history have gathered, when unspeakable crimes were within our power to stop them, we have been warned against the temptations of looking the other way. History is full of leaders who have warned against inaction, indifference and especially against silence when it mattered most. Our choices then, in history, had great consequences. And our choice today has great consequences. It matters that nearly 100 years ago in direct response to the utter horror and inhumanity of World War I that the civilized world agreed that chemical weapons should never be used again. That was the world’s resolve then. 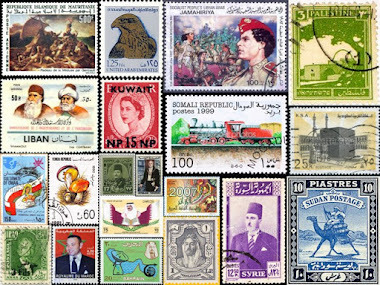 And that began nearly a century of effort to create a clear red line for the international community. It matters today that we are working as an international community to rid the world of the worst weapons. That’s why we signed agreements like the START Treaty, the New START Treaty, the Chemical Weapons Convention, which more than 180 countries, including Iran, Iraq and Lebanon, have signed on to. It matters to our security and the security of our allies. It matters to Israel. 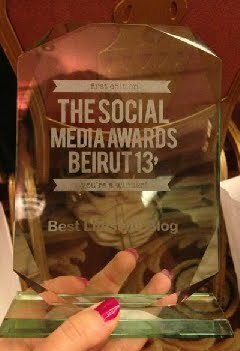 It matters to our close friends Jordan, Turkey and Lebanon, all of whom live just a stiff breeze away from Damascus. It matters to all of them where the Syrian chemical weapons are -- and if unchecked they can cause even greater death and destruction to those friends. And it matters deeply to the credibility and the future interests of the United States of America and our allies. It matters because a lot of other countries, whose policy has challenged these international norms, are watching. They are watching. They want to see whether the United States and our friends mean what we say. It is directly related to our credibility and whether countries still believe the United States when it says something. They are watching to see if Syria can get away with it, because then maybe they too can put the world at greater risk. It matters because if we choose to live in the world where a thug and a murderer like Bashar al-Assad can gas thousands of his own people with impunity, even after the United States and our allies said no, and then the world does nothing about it, there will be no end to the test of our resolve and the dangers that will flow from those others who believe that they can do as they will. This matters also beyond the limits of Syria’s borders. It is about whether Iran, which itself has been a victim of chemical weapons’ attacks, will now feel emboldened in the absence of action to obtain nuclear weapons. It is about Hezbollah and North Korea and every other terrorist group or dictator that might ever again contemplate the use of weapons of mass destruction. Will they remember that the Assad regime was stopped from those weapons’ current or future use? Or will they remember that the world stood aside and created impunity? So our concern is not just about some far-off land oceans away. That’s not what this is about. Our concern with the cause of the defenseless people of Syria is about choices that will directly affect our role in the world and our interests in the world. It is also profoundly about who we are. We are the United States of America. We are the country that has tried, not always successfully, but always tried to honor a set of universal values around which we have organized our lives and our aspirations. This crime against conscience, this crime against humanity, this crime against the most fundamental principles of international community, against the norm of the international community, this matters to us. And it matters to who we are. And it matters to leadership and to our credibility in the world. My friends, it matters here if nothing is done. It matters if the world speaks out in condemnation and then nothing happens. America should feel confident and gratified that we are not alone in our condemnation and we are not alone in our will to do something about it and to act. Turkey said there is no doubt that the regime is responsible. So now that we know what we know, the question we must all be asking is: What will we do? Let me emphasize, President Obama, we in the United States, we believe in the United Nations. And we have great respect for the brave inspectors who endured regime gunfire and obstructions to their investigation. But as Ban Ki-moon, the secretary general, has said again and again, the U.N. investigation will not affirm who used these chemical weapons. That is not the mandate of the U.N. investigation. They will only affirm whether such weapons were used. By the definition of their own mandate, the U.N. can’t tell us anything that we haven’t shared with you this afternoon or that we don’t already know. And because of the guaranteed Russian obstructionism of any action through the U.N. Security Council, the U.N. cannot galvanize the world to act as it should. So let me be clear. We will continue talking to the Congress, talking to our allies, and most importantly, talking to the American people. President Obama will ensure that the United States of America makes our own decisions on our own timelines, based on our values and our interests. Now, we know that after a decade of conflict, the American people are tired of war. Believe me, I am, too. But fatigue does not absolve us of our responsibility. Just longing for peace does not necessarily bring it about. And history would judge us all extraordinarily harshly if we turned a blind eye to a dictator’s wanton use of weapons of mass destruction against all warnings, against all common understanding of decency, these things we do know. We also know that we have a president that does what he says that he will do. And he has said, very clearly, that whatever decision he makes in Syria it will bear no resemblance to Afghanistan, Iraq or even Libya. It will not involve any boots on the ground. It will not be open ended. And it will not assume responsibility for a civil war that is already well underway. The president has been clear: Any action that he might decide to take will be limited and (sic) tailored response to ensure that, a despots brutal and flagrant use of chemical weapons is held accountable. And ultimately, ultimately we are committed -- we remain committed, we believe it’s -- the primary objective is (sic) to have a diplomatic process that can resolve this through negotiation, because we know there is no ultimate military solution. It has to be political. It has to happen at the negotiating table. And we are deeply committed to getting there. So that is what we know. That is what the leaders of Congress now know. And that’s what the American people need to know. And that is, at the core of the decisions that must now be made for the security of our country, and for the promise of a planet, where the world’s most heinous weapons must never again be used against the world’s most vulnerable people. “Anyone who could claim that an attack of this staggering scale could be contrived or fabricated needs to check their conscience and their own moral compass,” U.S. Secretary of State John Kerry said in a seven-minute statement on Monday night. He was referring to the chemical attack by Syrian President Bashar Assad regime forces in the Damascus region on August 21. 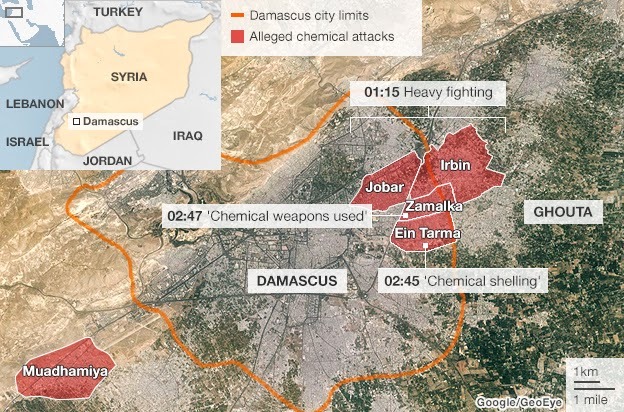 Rockets with chemical agents hit three Damascus suburbs while residents were still sleeping. Some 1,300 people were killed in the dawn strike. “We have additional information about this attack, and that information is being compiled and reviewed together with our partners, and we will provide that information in the days ahead,” Kerry added. 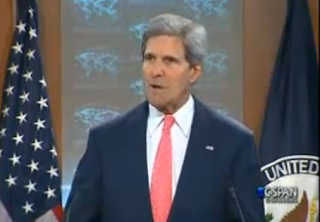 Following is the full text of Secretary Kerry’s statement. He did not take questions. Well, for the last several days President Obama and his entire national security team have been reviewing the situation in Syria. And today I want to provide an update on our efforts as we consider our response to the use of chemical weapons. What we saw in Syria last week should shock the conscience of the world. It defies any code of morality. Let me be clear. The indiscriminate slaughter of civilians, the killing of women and children and innocent bystanders by chemical weapons is a moral obscenity. By any standard, it is inexcusable. And despite the excuses and equivocations that some have manufactured, it is undeniable. The meaning of this attack goes beyond the conflict on Syria itself. And that conflict has already brought so much terrible suffering. This is about the large-scale indiscriminate use of weapons that the civilized world long ago decided must never be used at all, a conviction shared even by countries that agree on little else. 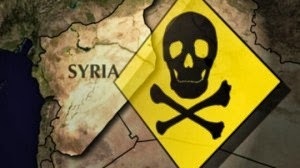 There is a clear reason that the world has banned entirely the use of chemical weapons. There is a reason the international community has set a clear standard and why many countries have taken major steps to eradicate these weapons. There is a reason why President Obama has made it such a priority to stop the proliferation of these weapons, and lock them down where they do exist. There is a reason why President Obama has made clear to the Assad regime that this international norm cannot be violated without consequences. And there is a reason why no matter what you believe about Syria, all peoples and all nations who believe in the cause of our common humanity must stand up to assure that there is accountability for the use of chemical weapons so that it never happens again. 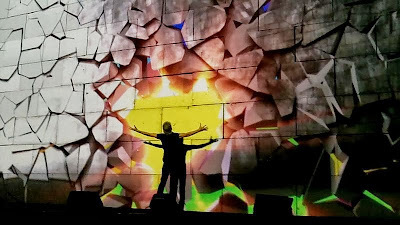 Last night, after speaking with foreign ministers from around the world about the gravity of this situation, I went back and I watched the videos -- the videos that anybody can watch in the social media, and I watched them one more gut-wrenching time. It is really hard to express in words the human suffering that they lay out before us. As a father, I can’t get the image out of my head of a man who held up his dead child, wailing while chaos swirled around him, the images of entire families dead in their beds without a drop of blood or even a visible wound, bodies contorting in spasms, human suffering that we can never ignore or forget. Anyone who could claim that an attack of this staggering scale could be contrived or fabricated needs to check their conscience and their own moral compass. What is before us today is real, and it is compelling. So I also want to underscore that while investigators are gathering additional evidence on the ground, our understanding of what has already happened in Syria is grounded in facts, informed by conscience and guided by common sense. The reported number of victims, the reported symptoms of those who were killed or injured, the firsthand accounts from humanitarian organizations on the ground, like Doctors Without Borders and the Syria Human Rights Commission -- these all strongly indicate that everything these images are already screaming at us is real, that chemical weapons were used in Syria. Moreover, we know that the Syrian regime maintains custody of these chemical weapons. We know that the Syrian regime has the capacity to do this with rockets. We know that the regime has been determined to clear the opposition from those very places where the attacks took place. And with our own eyes, we have all of us become witnesses. We have additional information about this attack, and that information is being compiled and reviewed together with our partners, and we will provide that information in the days ahead. Our sense of basic humanity is offended not only by this cowardly crime but also by the cynical attempt to cover it up. At every turn, the Syrian regime has failed to cooperate with the U.N. investigation, using it only to stall and to stymie the important effort to bring to light what happened in Damascus in the dead of night. And as Ban Ki-moon said last week, the U.N. investigation will not determine who used these chemical weapons, only whether such weapons were used, a judgment that is already clear to the world. I spoke on Thursday with Syrian Foreign Minister Muallem, and I made it very clear to him that if the regime, as he argued, had nothing to hide, then their response should be immediate: immediate transparency, immediate access, not shelling. Their response needed to be unrestricted and immediate access. Failure to permit that, I told him, would tell its own story. Instead, for five days the Syrian regime refused to allow the U.N. investigators access to the site of the attack that would allegedly exonerate them. Instead, it attacked the area further, shelling it and systematically destroying evidence. That is not the behavior of a government that has nothing to hide. That is not the action of a regime eager to prove to the world that it had not used chemical weapons. In fact, the regime’s belated decision to allow access is too late and is too late to be credible. Today’s reports of an attack on the U.N. investigators, together with the continued shelling of these very neighborhoods, only further weakens the regime’s credibility. At President Obama’s direction, I’ve spent many hours over the last few days on the phone with foreign ministers and other leaders. The administration is actively consulting with members of Congress, and we will continue to have these conversations in the days ahead. President Obama has also been in close touch with the leaders of our key allies, and the president will be making an informed decision about how to respond to this indiscriminate use of chemical weapons. But make no mistake: President Obama believes there must be accountability for those who would use the world’s most heinous weapons against the world’s most vulnerable people. Nothing today is more serious, and nothing is receiving more serious scrutiny. All eyes are on the international community, mainly the United States, to see whether a chemical attack by Syrian President Bashar Assad regime forces in the Damascus region on August 21 will go unpunished. Rockets with chemical agents hit the Damascus suburbs of Ain Tarma, Zamalka and Jobar at dawn last Wednesday as residents were still sleeping. Some 1,300 were killed in the rocket strike, most of them women and children. With unforgettable horror images still emerging, the international medical humanitarian organization Doctors Without Borders/Médecins Sans Frontières (MSF) reported Saturday (August 24) that three hospitals in Syria's Damascus governorate that are supported MSF have reported to MSF they received approximately 3,600 patients displaying neurotoxic symptoms in less than three hours on the morning of Wednesday, August 21, 2013. Of those patients, 355 reportedly died. Meanwhile, U.S. President Barack Obama and UK Prime Minister David Cameron are "gravely concerned" by "increasing signs this was a significant chemical weapons attack carried out by the Syrian regime." “They are both gravely concerned by the attack that took place in Damascus on Wednesday and the increasing signs that this was a significant chemical weapons attack carried out by the Syrian regime against its own people. The UN Security Council has called for immediate access for UN investigators on the ground in Damascus. The fact that President Assad has failed to cooperate with the UN suggests that the regime has something to hide. In a statement released in Brussels and New York on Saturday, MSF, the Nobel Peace Prize winner (1999), says that since 2012 it has built a strong and reliable collaboration with medical networks, hospitals and medical points in the Damascus governorate, and has been providing them with drugs, medical equipment and technical support. 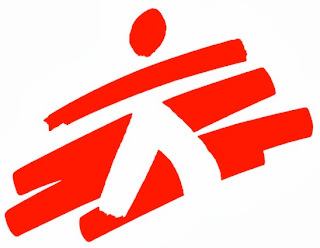 Due to significant security risks, MSF staff members have not been able to access the facilities. “Medical staff working in these facilities provided detailed information to MSF doctors regarding large numbers of patients arriving with symptoms including convulsions, excess saliva, pinpoint pupils, blurred vision and respiratory distress,” said Dr. Bart Janssens, MSF director of operations. Patients were treated using MSF-supplied atropine, a drug used to treat neurotoxic symptoms. MSF is now trying to replenish the facilities’ empty stocks and provide additional medical supplies and guidance. In addition to 1,600 vials of atropine supplied over recent months, MSF has now dispatched 7,000 additional vials to facilities in the area. Treatment of neurotoxic patients is now being fully integrated into MSF’s medical strategies in all its programs in Syria, the statement added. MSF, created in France in 1971, says it provides medical assistance in Syria through two different approaches. MSF international and national staff operate six hospitals and four health centers in structures fully under the organization’s direct control in the north of Syria. In areas where MSF cannot send its own teams because of insecurity or lack of access, the organization has expanded a program begun two years ago of supporting Syrian medical networks, hospitals and medical posts, by providing drugs, medical equipment, and technical advice and support. Through the latter program, MSF has been supporting 27 hospitals and 56 medical posts throughout Syria. 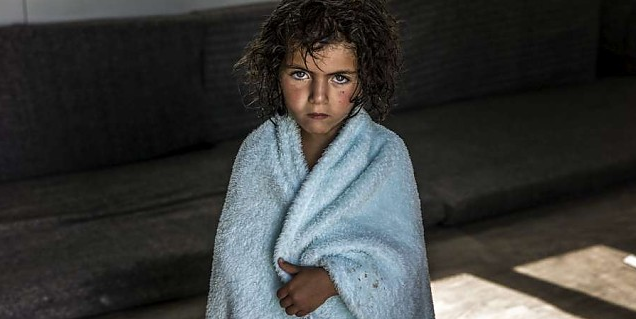 Questions this little girl -- one of one million Syrian refugee children -- seems to be asking us. Since the beginning of the war in Syria in March 2011, one of the most devastating facts -- after the loss of life -- is the figures for the living. UNHCR, the UN Refugee Agency, estimates there are now more than one million Syrian children living outside their country as refugees out of almost two million people who have fled Syria to escape the bloody war. In a statement released today in Geneva, UNHCR says one million Syrian children have now been registered as refugees. "What is at stake is nothing less than the survival and well-being of a generation of innocents," António Guterres, UNHCR High Commissioner said. "The youth of Syria are losing their homes, their family members and their futures. Even after they have crossed a border to safety, they are traumatized, depressed and in need of a reason for hope,” he added. "This one millionth child refugee is not just another number," UNICEF Executive Director Anthony Lake said in New York. "This is a real child ripped from home, maybe even from a family, facing horrors we can only begin to comprehend." "We must all share the shame," said Lake, "because while we work to alleviate the suffering of those affected by this crisis, the global community has failed in its responsibility to this child. We should stop and ask ourselves how, in all conscience, we can continue to fail the children of Syria." Inside Syria, according to the Office of the High Commissioner for Human Rights, some 7,000 children have been killed during the conflict. 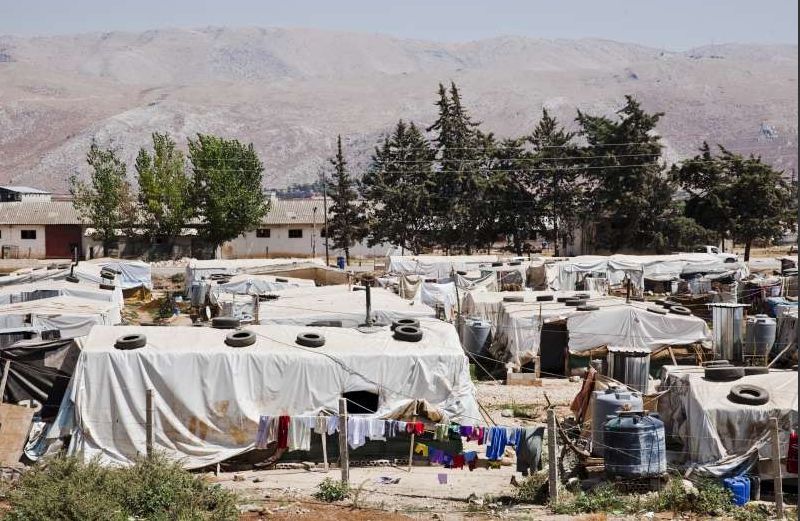 UNHCR and UNICEF estimate that more than two million children have been internally displaced within Syria. It adds that both UNHCR and UNICEF highlight the threats to refugee children from child labor, early marriage and the potential for sexual exploitation and trafficking. More than 3,500 children in Jordan, Lebanon and Iraq have crossed Syria's borders either unaccompanied or separated from their families. UNHCR has registered all one million children, giving them an identity. The agency helps babies born in exile get birth certificates, preventing them from becoming stateless. UNHCR also ensures that all refugee families and children live in some form of safe shelter. But more remains to be done, said the two agencies. The Syria Regional Refugee Response plan, which calls for $3 billion to address the acute needs of refugees until December 2013, is currently only 38 percent funded. More than $5 billion has been called for to address the Syria crisis, with critical needs in education, health care and other services for children and child members of host communities. More resources need to be devoted to developing strong networks to identify refugee children at risk and to provide them, and their host communities, with support. More funds are only part of the response needed to address children's needs, the UN agencies said. Those who fail to meet these obligations under international humanitarian law should be held fully accountable for their actions, UNHCR and UNICEF said. 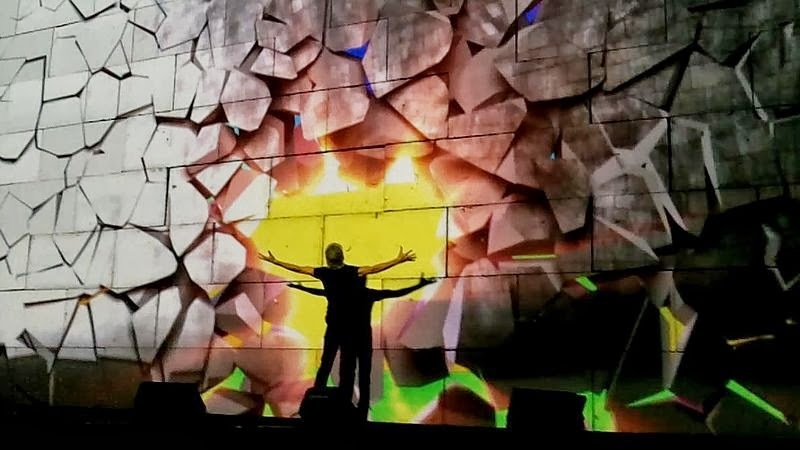 The co-founder of my favorite rock band, made the appeal in a letter published on August 18 on his Waters’ Facebook page. 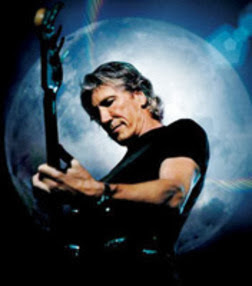 Among Pink Floyd’s international successes are such albums as The Dark side of the Moon, Wish You Were Here, Animals, The Wall and The Final Cut. They have sold more than 250 million albums worldwide, including 74.5 million units sold in the United States as of 2013. Nigel Kennedy, the virtuoso British violinist and violist, at The Recent Promenade Concerts at The Albert Hall in London, mentioned that Israel is apartheid. Nothing unusual there you might think. Then one Baroness Deech, (Nee Fraenkel) disputed the fact that Israel is an apartheid state and prevailed upon the BBC to censor Kennedy’s performance by removing his statement. Baroness Deech produced not one shred of evidence to support her claim and yet the BBC -- non-political, supposedly -- acting solely on Baroness Deech’s say so, suddenly went all 1984 on us. In the wake of the tragic shooting to death of unarmed teenager Travon Martin and the acquittal of his killer Zimmerman, yesterday, Stevie Wonder spoke at a gig declaring that he will not perform in the State of Florida until that state repeals its “Stand Your Ground” Law. In effect he has declared a boycott on grounds of conscience. I applaud his position and stand with him. It has brought back to me a statement I made in a letter I wrote last February 14, to which I have referred but have never published. The time has come, so here it is. This letter has been simmering on the back burner of my conscience and consciousness for some time. It is seven years since I joined BDS (Boycott Divestment and Sanctions), a nonviolent movement to oppose Israel’s occupation of the West Bank and violations of international law and Palestinian human rights. The aim of BDS is to bring international attention to these Israeli policies, and hopefully, to help bring them to an end. All the people of the region deserve better than this. The systematic oppression of one ethnic group by another. On 9 March 2012, for instance, the UN Committee on the Elimination of Racial Discrimination called on Israel to end its racist policies and laws that contravene the prohibition against racial segregation and apartheid. The forcible removable of indigenous peoples from their rightful land in order to settle an occupying population. For example, in East Jerusalem non-Jewish families are routinely physically evicted from their homes to make way for Jewish occupants. Given the inability or unwillingness of our governments, or the United Nations Security Council to put pressure on Israel to cease these violations and make reparations to the victims, it falls to civil society and conscientious citizens of the world to dust off our consciences, shoulder our responsibilities and act. I write to you now, my brothers and sisters in the family of Rock and Roll, to ask you to join with me, and thousands of other artists around the world, to declare a cultural boycott on Israel, to shed light on these problems and also to support all our brothers and sisters in Palestine and Israel who are struggling to end all forms of Israeli oppression and who wish to live in peace, justice, equality and freedom. Word came to me, the first week of last December that Stevie Wonder had been booked to headline at a gala dinner for the Friends of The Israeli Defense Force in LA on 6 December 2012. An event to raise money for the Israeli armed forces, as if the $4.3,000,000,000 that we, the US tax payers, give them each year were not enough? This came right after The Israeli Defense Force had concluded yet another war on Gaza -- Operation Pillar of Defense -- according to Human Rights Watch, committing war crimes against the besieged 1.6 million Palestinians there. Anyway, I wrote to Stevie to try to persuade him to cancel. My letter ran along these lines, “Would you have felt OK performing at the Policeman’s Ball in Johannesburg the night after the Sharpeville massacre in 1960 or in Birmingham, Alabama, to raise money for the Law Enforcement officers who clubbed, tear-gassed and water-cannoned those children trying to integrate in 1963? Archbishop Desmond Tutu also wrote an impassioned plea to Stevie and 3,000 others appended their names to a change.org petition. Stevie, to his great credit, cancelled! 2. Earlier that week I delivered a speech at The United Nations. If you are interested you can find this speech on YouTube. The interesting thing about these two stories is that there was NOT ONE mention of either story in the mainstream media in the United States. The clear inference would be that the media in the USA is not interested in the predicament of the Palestinian people, or for that matter the predicament of the Israeli people. We can only hope they may become interested as they eventually did in the politics of apartheid South Africa. Back in the days of Apartheid South Africa, at first it was a trickle of artists that refused to play there, a trickle that exercised a cultural boycott, then it became a stream, then a river, then a torrent and then a flood. (Remember Steve van Zant, Bruce and all the others? “We will not Play in Sun City?”) Why? Because, like the UN and the International Court of Justice they understood that Apartheid is wrong. The sports community joined the battle -- no one would go and play cricket or rugby in South Africa -- and eventually the political community joined in as well. We all -- as a global, musical, sporting and political community -- raised our voices as one and the apartheid regime in South Africa fell. Maybe we are at the tipping point now with Israel and Palestine. These are good people both and they deserve a just solution to their predicament. Each and every one of them deserves freedom, justice and equal rights. Just recently, the ANC, the ruling party of South Africa, has endorsed BDS. We are nearly there. Please join me -- and all our brothers and sisters in global civil society -- in proclaiming our rejection of Apartheid in Israel and occupied Palestine, by pledging not to perform or exhibit in Israel or accept any award or funding from any institution linked to the government of Israel, until such time as Israel complies with international law and universal principles of human rights. Today, August 15, is the Feast of the Assumption, the celebration of the Blessed Virgin Mary being received into Heaven. It is one of my favorite feast days of the year in all the symbolism of forgiveness and goodness that it holds. The first half of the Hail Mary is straight out of the Bible. The part before the semicolon is the Angel Gabriel's greeting to the Virgin Mary at the Annunciation, when he told her she had been chosen by God to bear His Son, Jesus Christ (And the Angel came in unto her, and said, Hail, thou that art highly favored, the Lord is with thee: blessed art thou among women. [Luke 1:28]). The words after the semicolon were uttered by Saint Elizabeth, the cousin of the Blessed Virgin, at the Visitation, when Saint Mary came to visit her and Saint Elizabeth felt Saint John the Baptist leap in her womb (…41 When Elizabeth heard Mary's greeting, the baby leaped in her womb; and Elizabeth was filled with the Holy Spirit. 42 And she cried out with a loud voice and said, "Blessed are you among women, and blessed is the fruit of your womb!” 43 And how has it happened to me, that the mother of my Lord would come to me?… [Luke 1:41-43]). The Blessed Virgin's response to Saint Elizabeth was the beautiful canticle known as The Magnificat (Luke 1:46-55). 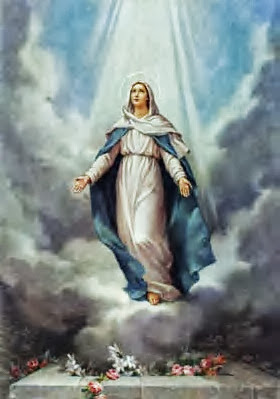 The Feast of the Assumption of the Mother of all Mothers into the glory of Heaven is seen as the symbol of the promise made by Jesus Christ to all enduring Christians that they too will be received into Paradise. John 14:3 -- one of the scriptural bases for understanding the dogma of the Assumption of Mary -- quotes Jesus as telling his disciples at the Last Supper, "If I go and prepare a place for you, I will come again, and will receive you to myself; that where I am, you may be there also." Catholic theology holds that Mary is the pledge of the fulfillment of Christ's promise. The Hail Mary is one of the most powerful prayers because it is believed Jesus cannot neglect the intercession of His mother’s demands. The first miracle Jesus performed at the wedding at Cana is often cited, as in John 2:1-11, when Mary told Jesus, “They have no more wine.” He turned water into wine. Both Christians and Muslims celebrate Our Lady – or “Maryam” in the Holy Qur’an. The mother of Jesus has a distinguished and honored position among women in the Qur’an. The 19th of the Holy Book’s 114 chapters is titled “Maryam” – the only surah named after a woman. (See Glorifying Virgin Mary in Ramadan – August 15, 2011). On this special day, may the Holy Mother grace us -- specially the needy, sick and infirm -- with her Blessings. May she also give solace to those who have lost loved ones.